YOUR ARE ALL INVITED: Maui Twitterers, Tweeters and Tweoples – whatever you call yourselves; You are all invited to come and attend ourÂ Maui Sunset Tweet-up at Kamaole Beach III Park on the south with the grassy area overlooking the ocean at 5:30PM Â Wednesday, August 19, 2009. Remember to bring a beach chair or a towel to sit on. YES, IT CHANGED FROM THE POLO BEACH TO KAM III: I must have been on “running high” when I decided on Saturday morning that we should meet at Polo Beach in front of Four Seasons on Maui. But who wouldn’t be mesmerized of it’s beauty? See my photos there that morning and agree that it would be nice to have a tweet-up there. The problem is, when I went there this afternoon to scope out the place and take photos for the invite, I realized that the beach fronting the Four Seasons is farther from the parking lot that I originally thought t was. I told you I was high on running! It was foolish of me to expect that everyone would want to walk from that parking lot to FSMaui Beach shore (even with the nice walkway and view, it’s still not practical). And so I went to Plan B – the easier to access but equally beautiful beach, and that’s Kam III. AND WHY IT IS IMPORTANT TO ATTEND A TWEET-UP? Because Tweet-up bonds the connection created through twittering online. Let me share with you about my experience. 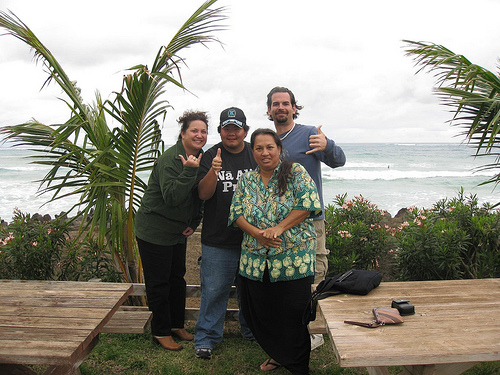 The first Tweetup I attended was actually the very first one on Maui, when @Jowyang came here. Six of us showed up including @Jowyang and his lovely wife. And that my friends ignited the growth on my Twitter involvement which resulted in the rapid growth of my followers…. 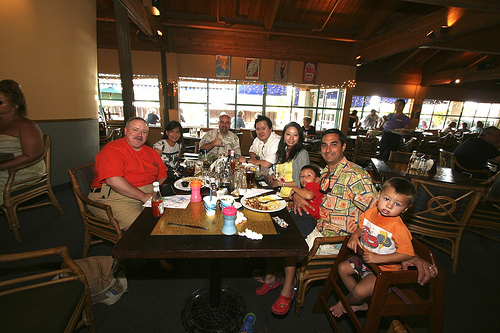 (see @jowyang’s blog post here which mentioned me and the first Maui Tweet-up) But more than the growth of followers, what’s really important are the friendships formed and being formed. By the way, this tweetup I am organizing is for us to meet @aewang, a twitterfriend I truly enjoy conversing with at twitter – we often have lots of LOL’s!. After this we can truly say we are friends IRL too. MORE LATER. Okay, I am getting a little carried away here. This is supposed to be an invitation to attend the tweet-up, not a talk story about my Twitter adventures. That will come later. 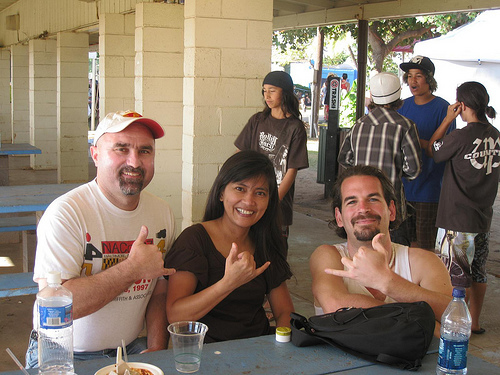 In the meantime, I thought it would be fun to show photos of the first few #MauiTweetups. I truly believe we are in the verge of explosion and this #MauiTweetup is about to grow BIG! One day, we will look back at these photos and will say “aawwww, look at us back when we were small..”. Before I get carried away again, here are the Tweetup photos I am talking about. Can you recognize who they are?